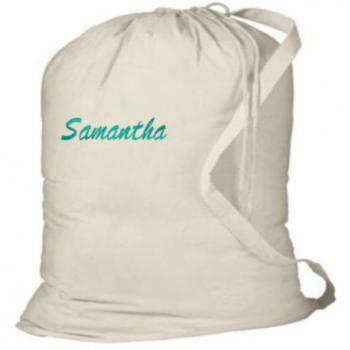 Personalized Laundry Bags are a classic favorite for colleges, camping and overnights. These are fabulous bags! I am so impressed. Purchased two for twin nephews graduation gifts, had them personalized and filled with laundry soap, dryer sheets and quarters for college! The stitching on their names is so so nice and the bags are nice and large! I am very pleased with this purchase.